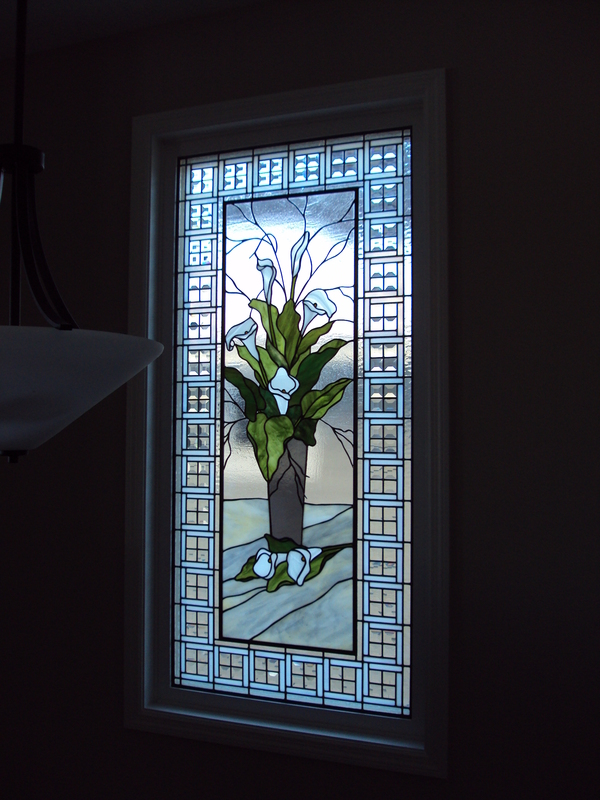 Calla Lily window designed in honor of a client’s mother who carried a bouquet of calla lily flowers at her wedding that her father splurged on for her. It is installed in an open staircase that opens up to a great room. Measures 32″ wide by 66″ high. Bevel glass leaded border.